Creative talent and new age music are equal terms in reference to the many creative and influential musicians producing music today. This can be said of every music influence available today of course, and like every genre, new age music had a group of select artists in the primordial years whose earlier influences formed the inception and foundation of the genre. Clifford White is a musician living in the United Kingdom defining our new age music genre then and this is true today. His biography as a musician began during an era when there was much less of a foundation to build upon and had to rely primarily on his own creative intuition as a vital resource. Clifford White’s inception into the new age genre first emerged in 1985 at age 17 when he released a phenomenal album entitled Ascension which quickly established Clifford as a leading composer and producer whose music greatly influenced our genre in the early years. Atlantis is the 2010 MG Music label release Clifford White has just produced in his present day Sanctuary Studio in St. Albans, Hertfordshire and it is great news to know Clifford White’s talent for producing outstanding music and creative intuition during modern times is just as ingenious today as in earlier years. Currently he presides over his multi faceted 21st Century New Media Ltd business which specializes in media consultation of Internet, film, software, television and media related training courses. In addition to his musician website he also hosts the New Age Music News website and his presence in the new age music genre today remains on the forefront. 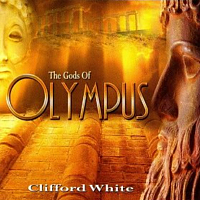 Clifford White has made Atlantis into an exciting electronic composition based in theme on the lost underwater city adventures first recounted in the writings of Greek philosopher and mathematician Plato. Knowing Clifford has made explorations of his own by using a broad range of influences and innovations with every successive album, these novel synthesizer effects translate into a modern Progressive album that reaches Epic and Cinematic proportions while recounting the ancient city lost beneath the waters. Atlantis ( Title Song ) is the Epic first of 11 exploratory melodies on this Electronic expedition transcending folklore of the past into a new modern day chronicle overflowing with depth and creative imagination. One innovation of many on this release is the unique metrical timing by using the middle C note on piano. Balanced with precision, this synchronized rhythm gives the impression of a heart beating with adventurous excitement while the main keyboard melody and regal orchestration begin to herald in this majestic opening song. Catacombs has a more mysterious allure given the ever present key changes made throughout the keyboard melody with percussion timing and synthesizer enhancements furthering this deeper realm in atmosphere like the dreamy sequences in moderately timed song Xtasea. 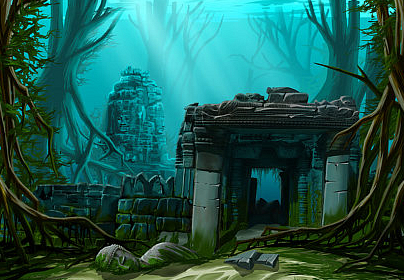 The Kingdom has Contemporary guitar rhythms along with an energetic beat illustrating a brighter atmosphere while shedding new light onto the mysterious underwater city, while the Groove qualities in Time Tunnels with percussion accents also maintain the traits given by these more modern progressive qualities. Voice of the Aegean with a gentle guitar melody resembles the lighter variation of calm like on the song Summit which conveys relaxing qualities by a more moderate tempo. Ascendant & Exodus are comprised of prominent synthesizer surroundings with percussion sequences of bells, woodblock and xylophone. 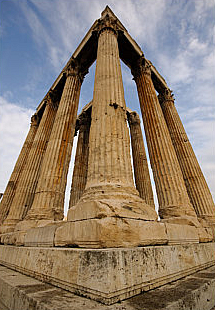 The epic music heard in New World begin to surface during the first measures when beautiful orchestrations by horns and choir vocals infuse classic imagery of the legendary kingdom of antiquity for which this theme is based upon and just like a paradox, Atlantis the album was composed with a more modern ideology but where they share common traits by their amazing stories and early foundations that had first began on solid ground. 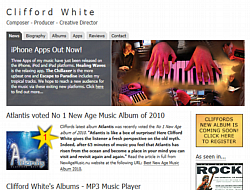 Visit CliffordWhite.co.uk to sample or purchase Clifford White’s new Atlantis album. 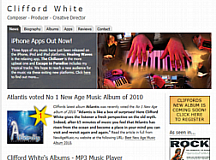 Read my interview and album review pages dedicated to Clifford White. Cover art by Medwyn Goodall – Picture copyright BigStockPhoto – Dirk Paessler. Clifford White is a legendary musician living in the United Kingdom defining our aew age music genre in many respects. I find his personal biography and true life success story which sets him apart from so many other musicians incredibly powerful and real. His insightful inception into the New Age genre emerged as a teen back in 1985 when he released a phenomenal hit entitled Ascension, establishing Clifford as a leading composer and producer that greatly influenced our primal new age music genre in the process. If you knew Clifford White and the significance of his story through the past 25 years you would agree too and knowing his past servitude to our genre, everyone can expect even more contributions in the future since his dedication remains steadfast and paramount. Clifford currently presides over his multi faceted 21st Century New Media Ltd business specializing in media consultation of Internet, film, software, television, media related training courses and even designed the MG Music website for Medwyn Goodall. In addition Clifford created the New Age Music Network social forum and operates his New Age Music News website where his business and technical knowledge is eclipsed only by his abilities to compose and produce classic music that greatly defines our beloved genre. Ascension 2 – The Healing Touch on the MG Music label bestows another great testimonial to the aesthetic values of Clifford White and his principal leadership towards a music genre that promises peace, beauty, and calming tranquility with every defining moment. The reverent interludes of 9 classic songs heard in Ascention 2 offer fine concertos with wonderful orchestration in each passing moment of time. Ascension 2 – The Healing Touch is his 2010 sequel that revisits the very essence of Clifford White, in a younger creative spirit, yet now with today’s newly enlightened perceptions as an acclaimed new age artist. His music incorporates ethereal sensations in ambience that nicely reinforce the melodic persona of harmonic purity that are identifiable to the achievements of Clifford White and a lifetime of dedication to the progression of New Age music. Visit CliffordWhite.co.uk to sample or purchase Ascension 2. Photo Copyright Clifford White. 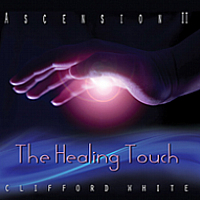 Clifford White first composing the historic international best-seller Ascension back in 1985 now celebrates his 25th year commemoration by the powerful and inspiring Ascension 2 – The Healing Touch. The biography of Clifford White reaches another chapter in his life and music, telling much about the man and his insightful dedication to the new age music persona. In an exclusive interview, review publicists and interview hosts John P. Olsen and B.T. Fasmer each take a turn in asking Clifford White a variety of questions on his role in New Age music, and what the future holds for this great artist from the UK. NewAgeMusicWorld.Com & NewAgeMusic.nu are proud to present this exclusive interview with New Age music legend Clifford White. During this 2010 interview Clifford talks about everything from Ascension (1985) to the upcoming album Atlantis, and he tells everyone a few secrets too! John P. Olsen: Take us back to 1985 when you were 17 years old Clifford. 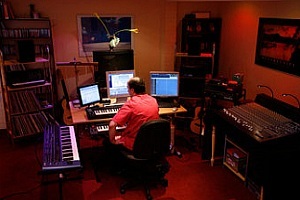 Ascension began your journey as a leading composer and producer of the primordial UK New Age genre, with Ascension selling tens of thousands of copies worldwide to become the strong foundation to your music career. What is the reason you are so committed to the New Age genre, and have you ever considered producing music in more popular genres? Clifford White: Although it was by no means traumatic, I did not have a particularly easy childhood, and by the age of 14 I had developed insecurities and fears which I found I could escape from by creating simple music on the piano, or by using various home keyboards and other musical instruments. Many years later, upon reading Mike Oldfield’s biography ‘Changeling’ I was very moved to hear that he had suffered from similar problems in his youth, and had in fact written Tubular Bells for much the same reason i.e. to escape from a world of fear into a space where the healing power of music could help him in releasing and resolving his feelings – in effect a form of musical catharsis. My first album Ascension was written in a comparable frame of mind, and it is quite telling that it went on to have such an impact upon people’s emotional well-being. I am quite positive now that music influences the mind, body and soul in the most profound ways, and that for this reason my commitment to it abides. With Ascension boosting my musical confidence, I went on to produce a further 7 albums over a period of 10 years (1985 to 1995) in a variety of styles and I will continue to be committed to developing and promoting this type of music in the future, within whichever genre it appears. John Olsen: I read in your biography at NewWorldMusic.Com, where your solo albums began receiving much press in the UK and were described as “Britain’s foremost exponent of New Age Rock“ and you, (Clifford White) were even listed next to the iconic Rock band, The Who in Collin’s book The Best of Rock. What is the story behind this statement and the early events during the time period? Clifford White: Well, the ‘Best of Rock’ review was actually a bit of a joke. I mean, who actually creates ‘New Age Rock’ – isn’t that a bit of a misnomer? In actual fact, it was a well known pop journalist called Alan Clayson that coined the term when he was asked to compile the ‘Best of Rock’ book. I knew Alan at the time, although I was very flattered that he wanted to include me. Imagine my surprise when I found myself next to The Who. Nice. John Olsen: You were the presiding founder of the UK New Age Music Association (NAMA) with 40 top artists including James Asher, Kevin Kendle, Asha Quinn, and Tim Wheater. What was the mission of NAMA as a whole, and were there some ideas formulated that have evolved into what we find in today’s New Age genre? Clifford White: Yes there is, and in many ways, my original desires and intentions for NAMA have been spectacularly resurrected with the resounding success of the New Age Music Network: Newagemusicnetwork.ning.com – an online social network with over 500 members. 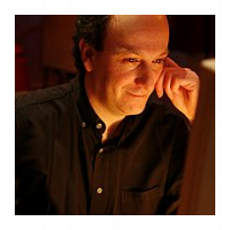 Both then and now, I continue to believe that artists and companies can work together to nurture and support the new age music genre and that, in perhaps our more technologically refined era, social networks such as these provide excellent environments from within which many useful discussions develop and contacts are made. It is however unfortunate that, just as in the early days of NAMA, there is still a certain degree of exploitation going on (not mentioning any names) but I suppose this is to be expected in any industry, perhaps especially within music. I just wish people would see the logic in working together in teams to a greater extent. I believe our culture suffers greatly from excessive individualism and self interest, and what seems to have become an instinctive cynicism towards collaboration and group support – almost paranoia in some instances. It is therefore refreshing to meet individuals such as yourselves who, quite obviously, have nothing but positive intentions and goodwill as an agenda. B. T. Fasmer: Please tell us a little about Sanctuary Studio at St Albans. From the pictures on your page, it looks impressive. Do you use mostly DAWs, or hardware synths – or both? 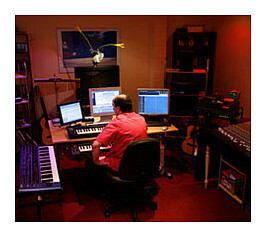 Clifford White: Sanctuary is the current name of my recording studio in St Albans. I set the studio up in 2008 and it is my most ambitious studio to date, certainly in terms of space and creative freedom. Detached from my home and occupying approximately 17ft W by 36ft L, my studio outbuilding has a dedicated sound booth for musicians and singers to perform, a control room and kitchen plus an office area. It was the realization of a 20 year dream to setup this studio and I am truly grateful and thankful to have achieved it. The only trick is finding enough time to spend in it! On the music technology side I, like so many other producers in our current electronic era, use computers almost exclusively in the process of creating music. I have, over the past 10 years or so, built up a huge sample library of instruments, sounds and effects, which, combined with the software DAW I use – which is called Muzys – accounts for about 99% of my current music output. I do have a traditional ‘vintage’ analogue synthesizer – the Novation Supernova II Pro X, which is truly a beast of a machine – probably the greatest synthesizer ever made in terms of power and flexibility. Unfortunately however, it does not often see the light of day, as it is so much quicker and simpler to layer all of my music directly on the computer. However, when a special timbre or effect is called for, the Novation is there. I also have a small selection of ‘virtual’ synthesizers (VST’s) which I enjoy using, including Arturia’s FM7, the excellent Yamaha DX7 emulation, which I used extensively on Ascension II. The original Ascension album featured the DX7 quite heavily and so it was truly great to revisit those old sounds in the new album. The freeware Synth1 plugin is also great, with a lovely silky sound, and I have a selection of other freeware VST’s that I use for other purposes, although like I said, raw instrument samples and effects are my usual elements of choice as they offer more control of the overall sound and dynamic than the virtual instruments. I have little else that I directly use for my own album productions, although I do have a Behringer MX9000 48 channel mixer and a Mackie HDR24/96 hard disk recorder, which tends to be used mostly by visiting musicians and during improvised and ‘live’ studio sessions. I can directly transfer recordings made on the hard disk recorder to my music PC, importing them into my Muzys DAW as samples which I can then layer into my music, but I have hardly done much of that yet to be honest. I have so much of my own material built up in Muzys now that I suspect I will have enough to keep me going for another 5 or 6 albums at least! John Olsen: During the past 25 years of your New Age music career you have used genre influences in Ambient, Epic, Latin, Jazz, Tropical, and even Classical. What determines the varying influence in each album you produce Clifford? Clifford White: I love all those genres of music and I am always looking for an excuse to create albums that contain elements of those styles mixed together into the general album concept. Also, I like to try and avoid repeating myself and so the aim of making each new album different from the one that has proceeded it really appeals to me. The way I see it, the whole concept of an album seems to be an entity in it’s own right, with it’s own style, mood and flavor, and once it is finished, it should appear to be a completed work, like a book or a film, and one really doesn’t want to mess with it, add to it, or detract from it with further musings which might simply repeat ideas present in the original work. I tend to approach the production of an album with this in mind, and I try to pour as many relevant ideas into the same pot as possible, never to be used again. As the album gets further underway, the various track ideas tend to link together, much like chapters in a story, and after a while it becomes self-evident what is working and what is not, in context of the whole. Of course, it is usually nowhere near as easy as it sounds and believe me, I have certainly labored long and hard on tracks which are (unfortunately) later thrown out for not meeting the general concept, style or criteria for the album as a whole. In the end, I try to make the final result as complete and as cohesive a work as I possibly can. John Olsen: Do you feel the success of your projects are primarily the result of simple hard work or more from your creative imagination? Or what is the primary reason you have been so successful the past 25 years? Clifford White: You know the old saying that goes ‘one percent inspiration and 99 percent perspiration’? Well, for me it’s more like 15% inspiration, 85% perspiration, but that is still a lot of work! I find that the initial ideas for a track or a collection of tracks tend to occur quite quickly – in the heat of the moment – and this usually results in a collection of strong core ideas. After repeated listening, these ideas seem to become further refined in my own mind – almost as if the process of hearing a piece of music days or weeks later from it’s creation somehow changes it, making it more ‘real’ and familiar. It’s very strange. In any event these ideas, usually in the form of short instrumental loops or arrangements, start to shine through in their own ways, suggesting further developments that could be possible. I tend to wait this process out until I am really ‘chomping at the bit’ to get into the studio to work on a piece. When the urge gets too great, that’s when I unleash myself into the studio and get working. Thus begins the 85% perspiration! A huge amount of effort goes into the process as I am very fussy and critical about my music tracks. They have to stand the test of time, yet sound fresh and new. That’s not an easy thing to sustain when you have already heard them 100 times! John Olsen: You have your 2010 Ascension II – The Healing Touch, and plan to release another project later this year. Is this next album going to resemble an Ambient influence like Ascension II or more resemblance to your Epic Gods of Olympus? Clifford White: I’ll tell you a little secret: I have a 5 year plan to release two albums a year until 2015! Believe it or not, I already have more than enough material to achieve this – it really depends on how much time I will actually get to spend in the studio. With the first in this series – Ascension II – already released, the next album due out later this year will either be Atlantis – which will be another epic production similar to the The Gods Of Olympus – or an album currently entitled The Beach, which will sound a little similar to my past albums The Lifespring or Twilight Paradise with that slightly jazzy, ‘sun-drenched’ tropical vibe. For 2011 I want to tackle two ‘Oxygene/Equinoxe’ type albums that I already have a great deal of material for. I have always loved the textures and moods Jean-Michel Jarre discovered whilst creating his early albums and have for a long-time wished he would revisit that sound. Unfortunately he did not, not even (to my ears) on his Oxygene sequel. I certainly would like to have a go! Following that I have a 2012 themed album planned (no big surprise there perhaps), and a sequel to The Beach, again for which I already have many track ideas. A couple more albums will follow and then as 2015 opens I will round the whole lot off with Ascension III, which will be the 30th anniversary of the original Ascension and make 20 albums in total. It will be very interesting to read this interview in a few years time to see if anything worked out according to my plan. After that – who knows…? 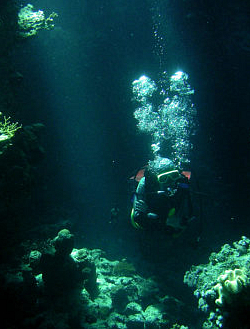 B. T. Fasmer: You have already told us a little about the Atlantis project. Is there anything more you would like to add? 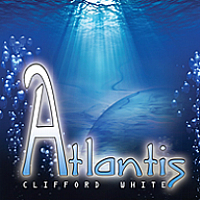 Clifford White: Atlantis will hopefully be completed by around August/September 2010 and released shortly thereafter. The title is a little misleading as, although the album has watery overtones, it is rather more upbeat and rhythmic than you might expect. Its closest comparison would probably be my 2009 album The Gods Of Olympus, at least in terms of its cinematic style and mood. I am quite pleased with what I have completed so far and like GODS, the album will have plenty of tracks to enjoy – at present around 12 – in a variety of styles and moods. I am thinking of it as a kind of sequel to GODS, and there are certain similarities, perhaps not unsurprising as – from a mythological point of view – The Atlanteans and the Olympians are not-too-distantly related to each other. B. T. Fasmer: You are also an expert in web design, multimedia and video. As everyone knows, the internet has been a massive challenge for the music business – but don’t you agree that it has been mostly positive for a niche genre like new age music? Or? Clifford White: Overall I would say yes, considering that the Internet is such a fantastic medium for communication between musicians, producers and composers and a superb tool for music promotion and publicity that it has served ‘New Age Music’ extremely well in this regard. The flip-side is that there is now so much music out there that it is impossible to find the good stuff! I myself spend hours and hours listening to new artists, or past artists I had never heard of before, and much of it is not wildly original, not very satisfying. Don’t get me wrong, I do occasionally find some great music, such as Australis or David Wahler, but these are often exceptions from the norm. Blogs such as your own at NewAgeMusic.nu are fantastic ways to discover new music, although I must admit really that I find a great deal of New Age/Electronic/Ambient/Chillout music a little dull, although I always live in hope of discovering better works in progress. I certainly feel that the Internet provides for great potential in the promotion of this musical genre, and in fact I had myself setup a website to attempt this last year called the New Age Music News which is going from strength to strength. So the future looks positive ! Visit CliffordWhite.co.uk and my pages dedicated to Clifford White. Photograph copyrights Jon Warren & Clifford White. Some New Age music has the power to inspire right from the moment it was first created, capturing your attention right from the beginning while standing the test of time. Inspiring music at this level is powerful, imaginative, and well defined. Something I find just as inspiring are the true life biographies of the artists themselves and their individual success stories that sets them apart from all others, and what may be revealed in their futures. I find their innermost passions and true life stories of their careers incredibly powerful and real. Clifford White is a musician living in the United Kingdom defining our New Age genre in many respects, and if you knew the significance of Clifford’s story, you would agree we can expect more contributions in the future. His insightful inception into the New Age genre emerged as a teen back in 1985 when he released a phenomenal hit entitled Ascension, establishing Clifford as a leading composer and producer who greatly influenced our primal genre in the process. Ascension 2 – The Healing Touch on the MG Music label is his 2010 sequel revisiting the very essence of his younger creative spirit, now with newly enlightened perceptions as an acclaimed new age artist who produces some of the best new age albums. 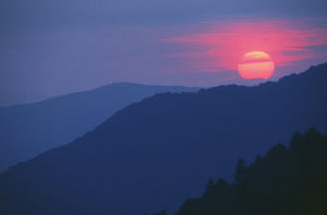 The true story of Clifford White is unique from so many artists since he began a recording studio while retaining producer credits on 26 albums, founding the music magazine Sound Waves and the New Age Music Association (NAMA) persevering even more where he and top artists began promoting our genre by concerts and recordings in the early years. Clifford White first composing the historic international best-seller Ascension back in 1985 now celebrates his 25th year commemoration by the powerful and inspiring Ascension ll – The Healing Touch. The biography of Clifford White reaches another chapter in his life and music, telling much about the man and his insightful dedication to the New Age genre. Ascension ll – The Healing Touch has a reverent infusion into 9 classic songs, ushered in by A Blessing, where mid tempo bell tones unite in a gilded keyboard melody rising to embrace a peaceful interlude in mind calming ambiance. Orchestra stanzas enter a rich fullness in depth, giving a gentle swaying motion which readily personifies the aesthetic legacy of his insight into a genre promising peace and tranquility to all. Eternity denotes wonderful orchestration with flugelhorn articulating an offertory role in a gentle concerto. Chimes and keyboard form an abstract atmosphere with chorals that lightly crescendo into a proclamation of relaxed contentment, while the song Luna contently adheres to a steady rhythmic keyboard pattern while upper keyboard octaves support a light shimmer to an already glistening theme. Sanctuary gives retrospect imagery of the song Hallowed Ground from the first Ascension album, where songbirds begin verbal episodes of their creative entity, lightly recalling a past heritage. The new melody in Sanctuary now signals in peaceful orchestra illuminations where bells signal in light contrast to a calming melody while songbirds again give a final repose about the common ground shared in melodies during the past 25 years. In a counter beat melody, Reawakening joins with strings, soprano choir, and percussion woodblocks in a peaceful realm, while The Answer & The Power Within embrace ethereal sensations in synthesizer projections that evoke supreme auditory notes, residing in high melodic textures that reach for the stratosphere in harmonic purity. The Healing Touch ( Title Song ) is a lightly ascending piano melody where an invocation with celestial harp gently strums a transcendent likeness, remaining well versed with the ethereal theme. Ascension ll is another great testimonial to the aesthetic values of Clifford White and his time tested principal leadership towards a music genre that promises peace, relaxation, and calming tranquility with every defining moment. Clifford presides over his multi faceted 21st Century New Media Ltd business, specializing in media consultation of Internet, film, software, television, and media related training courses. 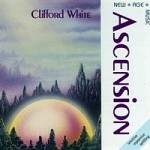 Visit CliffordWhite.co.uk to sample or purchase Ascension 2. Read about his new age albums on my page for Clifford White. Picture Copyright Big Stock Photo – dndavis. The 2010 New Years celebrations are just a recent memory for many of us now, but the year 2010 also marks a new time for celebration with many of our friends at Medwyn Goodall’s MG Music label based in the United Kingdom. Legendary musician Medwyn Goodall himself has achieved a milestone by his 25th year anniversary as an artist, and we will be telling you more about the events MG Music has in store for us later this year in 2010. Right now, there are two great artists I have been in contact with recently, who are considered family members at the MG label and are playing a major role in the 2010 celebrations by their latest release, and wanted to tell you more about them today. Clifford White is considered an early pioneer in New Age Music beginning with the Ascension album, which became a remarkable hit and rightfully became the strong foundation to Clifford’s music career. He has produced some great albums since then, and it is wonderful news that Clifford has now created a sequel to be released in late February crafted from this original project, with the albums description looking very promising indeed. Ascension ll The Healing Touch is his latest creation that is being described in the context of divine, graceful, and gentle, giving an great indication of what everyone can expect in the weeks ahead. I do enjoy listening to his first Ascension album, and can only anticipate what will follow in this revitalized profile of Ascension ll. You can read my pages dedicated to Clifford White. Paul Sills is another MG Music label member I have written about recently and enjoy listening to his deeply spiritual brand of music that in no shape or fashion could ever be called ordinary. His music style finds a wonderful resting place where deep orchestration resides beside lighter melodies that soon transform into a dramatic conclusion you will have to hear for yourself. Devas is Paul’s latest to be issued later in the year, holding the promise of an energetic and new approach to nature that Paul has written from a new angle in his already well crafted brand of celestial music, taken to a whole new level. For me, Devas is another highly anticipated release, and I really did like the sample track Paul sent recently. 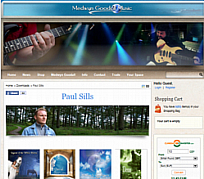 Paul Sills and I had an insightful discussion about his music career and life at MG Music during our recent interview together also, and I have reviewed both of his prior albums, so I invite you to read my pages dedicated to Paul Sills. The 25 year Anniversary at MG Music has more in store for us. B.T. Fasmer has also posted an article about this talented circle of friends at the MG label. Songs from both artists are featured on Stars Radio, so you may listen to both artists on a regular basis at Stars. Photos are courtesy MedwynGoodall.net & CliffordWhite.co.uk.